Stylish and modern! The Royal's formal lines combined with its soft but sturdy long wearing vinyl seat upholstery set on a sturdy brushed stainless steel frame makes it ideal for fine dining applications. 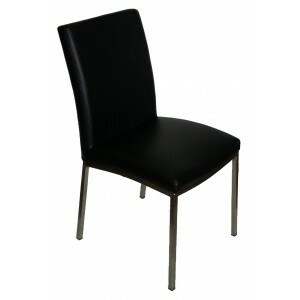 Its sleek modern lines make it ideal for relaxed Cafe decor as well.